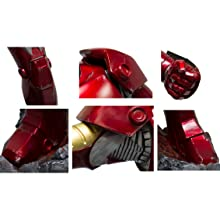 Show your love for Iron Man with this Officially Licensed statue! Ideal for game rooms, home theaters, living rooms - anywhere! 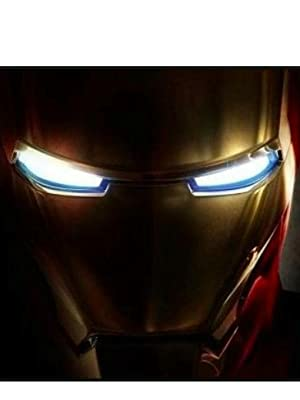 Also makes a great gift for any Marvel fan. Family-owned and family-operated from their 2-million square foot facility in Long Island, New York, Rubies' works every day to be an innovator in both design and manufacture of scary, funny, historical, and mythical ensembles. Statue and base stands over 6 feet tall, this battle action statue features artistry by world-renowned artists who hand-painted and hand-crafted all of the intricate details from high density polyurethane. 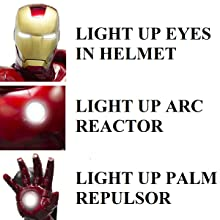 Armor painted features battle worn details with scuffs and scratches; Iron Man is depicted in a fighting stance and is complete with light-up effects on eyes; Arc Reactor and Palm Repulsors; light up features require 3 volt button cell batteries; batteries included with statue. 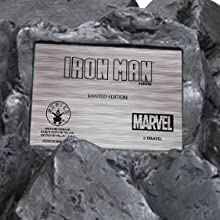 Display base features limited edition plaque; statue comes with certificate of authenticity. Statue shipped in separate pieces; will require some assembly upon arrival. 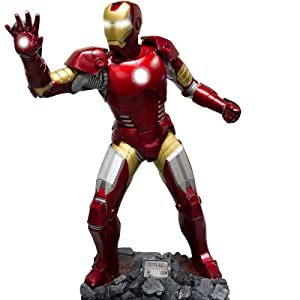 Show your love for Iron Man with this Officially Licensed statue! Ideal for game rooms, home theaters, living spaces, offices - anywhere! Requires 3 volt button cell batteries; batteries are included with statue. Hand-painted and hand-crafted by world renowned artists. No detail has been left out in this piece. Created from high density polyurethane and finished with a high-shine paint, statue features battle scuffs and scratches on armor, complete with a molded rock base with burnt accents from battle. 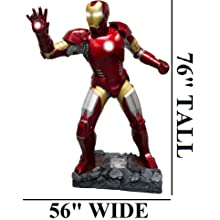 Great gift idea for any Iron Man or Marvel fan! Family-owned, family-focused and based in New York since 1950. As the world's foremost designer and manufacturer of costumes Rubie's brings fun and fantasy to dress-up. Offering everything from full mascot suits to masks and wigs, from deluxe licensed costumes to simple starter pieces, from costume shoes to character make-up, and so much more. Rubie's promotes safety in dress-up, so you can relax and have a great time while looking the part. Look to Rubie's for every costume occasion and season. Look for authentic trademark logo on package, label, certificate of authenticity and limited edition plaque. Rubie's offers costumes and costume accessories in styles and sizes from all of your favorite Marvel Studios Comics and Film adaptations. Look for adult and child costumes, accessories and decor and collectibles by Rubie's in all of your favorite heroes and villains.